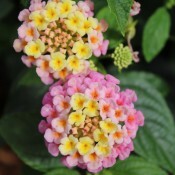 Lantanas produce abundant, intriguingly textured flowers and fragrant leaves. 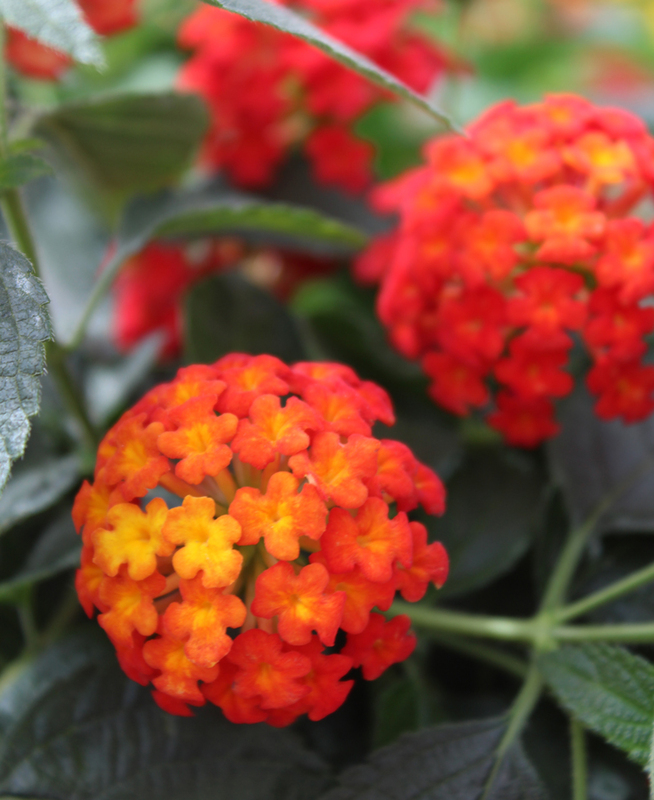 Lantana’s flowers come in tight clusters in many colours and are often bicoloured. Verbena-like flower clusters emerge on gently arching stems from early spring to fall. They love hot weather and make colourful additions to beds and mixed containers. They attract butterflies and hummingbirds. Please note: foliage can be a skin irritant. 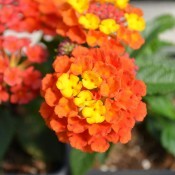 Lantanas attract butterflies, give perpetual summer colour and love the heat. Brightly coloured lemony yellow flower clusters cover mounds of green scented foliage. Planted in the garden or on the patio, this compact and bushy plant is a pure delight. Please note: foliage can be a skin irritant. 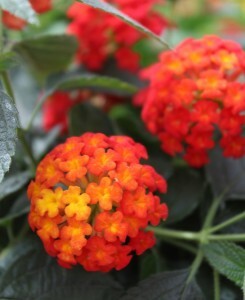 Lantanas attract butterflies, give perpetual summer colour and love the heat. Brightly coloured yellow red flower clusters cover mounds of green scented foliage. Planted in the garden or on the patio, this compact and bushy plant is a pure delight. Please note: foliage can be a skin irritant. 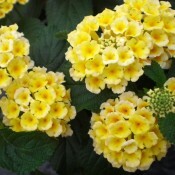 Lantanas attract butterflies, give perpetual summer colour and love the heat. Brightly coloured yellow rose pink flower clusters cover mounds of green scented foliage. Planted in the garden or on the patio, this compact and bushy plant is a pure delight. Please note: foliage can be a skin irritant.